On their website FAQ, they advertise that these weight lifting grips are not like cheap competitors that use re-purposed mouse-pads with nylon material on one side. Well, these workout grips look and feel just like mouse pads, except they have the treading found on the bottom of a traditional mouse pad on both sides. But don't discount their simple construction of these weightlifting grips. I have to admit, I was skeptical upon ordering and even taking them out of the package. But these little square pads actually feel pretty damn good. One of my interests in this product was to improve my grip and comfort-level when gripping thin, smooth bars as are found on my SA Gear Power Tower. I have actually wanted to sell this tower on Craigslist for a while now since I already have pull-up bars on my power rack and a dedicated dip station. But I knew this tower would be a hard sell because the bars aren't the most comfortable to use. I was always looking for something I could wrap the bars with to provide better traction and padding. Well, I am pleased to find that the Big Back Grips fit these criteria perfectly. The material is soft and pliable, so the pads conform to the bars while relieving pressure points on the interphalageal joints during pull-ups. I previously had discomfort with this while performing high volume sets. Dips on the small diameter bars are much more comfortable as well. The treading works just as advertised and the pads do not slip or slide during the exercise movements. I will later see how well these grip pads perform during heavy deadlifts. Overall, I give the Big Back Grips a 5/5 for the price vs. performance ratio. When it comes time to sell power tower, I will definitely include a pair of Big Back Grips, as the difference in comfort-level and grip ability between using and not using these pads on this particular tower is like night and day. Over the last month, I have found the Big Back Lifting Grips more useful than I originally anticipated. In fact, I use them for every exercise with the exception of barbell squats and lunges. I had previously used mechanics gloves from Home Depot when wanting extra grip or padding. Gloves don't even compare to these simple square pads. They won't replace lifting straps, but they will make the bar much easier to grip. When performing pull-ups, I find I can focus much more on the pulling movement when I am not distracted by my fingers slowly slipping off the bars. For deadlifts, it is the same principle. 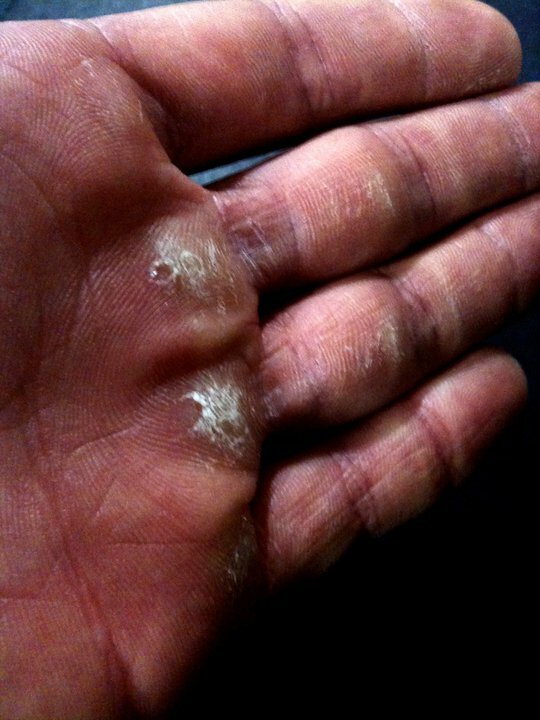 My hands feel secure and comfortable, so I can put all my energy into the lift. 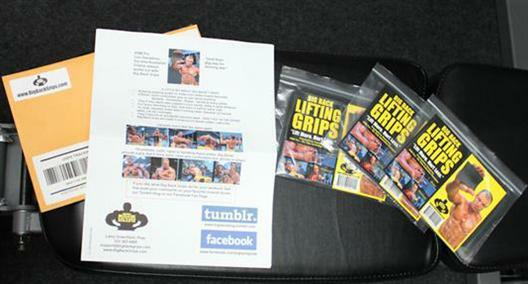 Why don't you put them into gloves or put little finger thingies on your lifting grips? Two reasons (and we've tested everything). 1) The material we use would not function as intended and we'd have an expensive glove that failed as a grip. 2) It would not meet our quality standards. Rubber fails at the stitching and it does not take long to do so. Why don't you make Big Back Lifting Grips in colors? It would triple the price of the weight training grips without improving performance. And pink or yellow would look gross after about 2 workouts. And seriously, if the color of your lifting grip is a bigger issue than its performance, you may be missing the point of using a grip at all. If color is really a big issue, you can injure yourself in lifting straps in any number of beautiful shades. Are Big Back Grips made in America? Yes, yes, yes. We are made entirely in America. The FDA has approved the material for human contact without any warnings or cautions. Do Big Back Grips contain latex? No. Big Back Grips are made of certified Natural Rubber and contain no latex. I've seen rubber grips and lifting pads before. Why are these different? The Dual-Sided Gripping Tread, custom-engineered to our specs, makes all the difference. 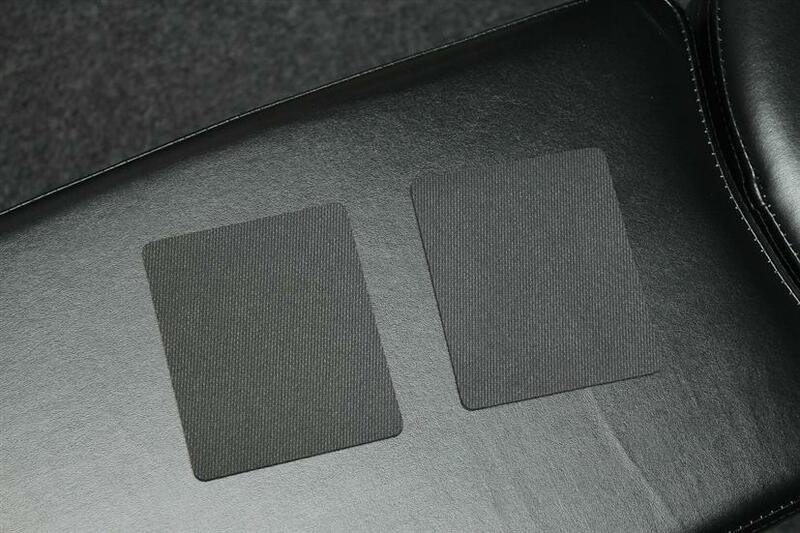 You've probably seen those thick or thin useless rubber pads with cloth on one side, usually re-purposed mouse-pads. They just don't grip. How long do they last? Are they washable? The Grips will usually last 4-6 months, often longer. How often you use them, the condition of the gym equipment, and even how much you sweat will affect lifespan. No one ever said they didn't get their money's worth. To wash, squeeze them under warm running water. Let them air dry overnight after squeezing (NOT WRINGING) in a towel. Are Big Back Grips guaranteed? We guarantee them to be free of material defects and to work as promised. Big Back Lifting Grips - Make Every Rep Count!